All hands on deck! 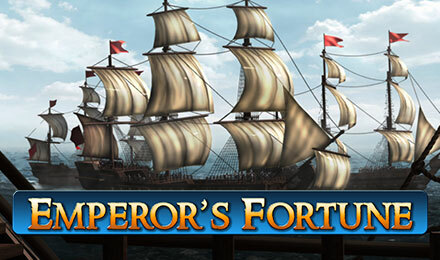 Login and play Emperor’s Fortune Slots and get ready for an incredible journey on the seas with loads of rewarding wins! It’s time for an adventure! Play Emperor’s Fortune Slots at Moon Games! The seas are waiting, and so is your treasure! Spin today and enjoy a 95% RTP, loads of FREE spins with tripled wins, a Prize Pick Bonus where you can multiply your wager up to 100x and more! Look out for the Canon symbol and Napoleon himself, because spinning 3 of either will trigger your bonuses! Good luck!